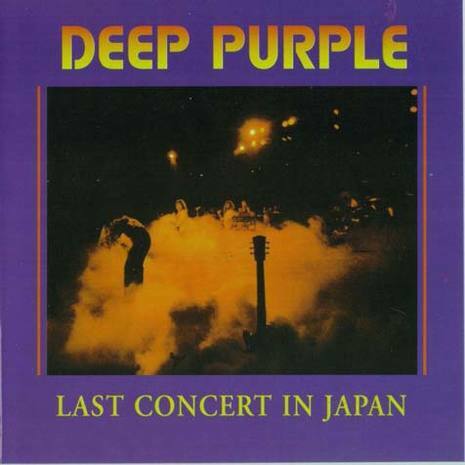 Last Concert in Japan is an album by Deep Purple released in March 1977. It records the last Japanese concert of the Mark IV-lineup with Tommy Bolin. This album was recorded on 15 December 1975 at the Tokyo Budokan. This performance set an attendance record for the Budokan Hall, about 14,000 attended. Parts of the concert was also shot on 16mm film that were included in the video Rises Over Japan released in Japan only in 1985. The recording was substantially edited to fit a single vinyl release. The whole concert was remastered and restored for This Time Around: Live in Tokyo released in 2001. Aside from including a large portion of the set left out at the time of the original release, the 2001 re-release was also meant to fully restore the sound quality of the show, which was compromised when a hurriedly mastered audio track meant for a potential video release was used to speed up the release. The original packaging of this release incorrectly stated that the album included a live version of "Woman from Tokyo", when in fact all that was included was a short jam of its main riff performed during Jon Lord's solo. Purple fans were disgusted by the move, which was attributed to record company foul play in order to boost record sales. In a 1995 interview, Glenn Hughes calls Last Concert in Japan an "awful record" and says that it "should never have been released" because "Tommy couldn't play."